Christianity in action is something that really motivates me. Seeing injustices in my society and turning a blind eye is not something I stand for. As Christians we are called to actively engage with our communities in any way we can. 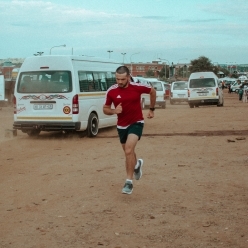 The Muskathalon is a way for me to combine my love for adventure and running with my love for God and seeing His justice reign in my country and in the world.